Arrow Video will be releasing the new Blu-ray edition of The Forbidden Photos of a Lady Above Suspicion on 14 January 2019. 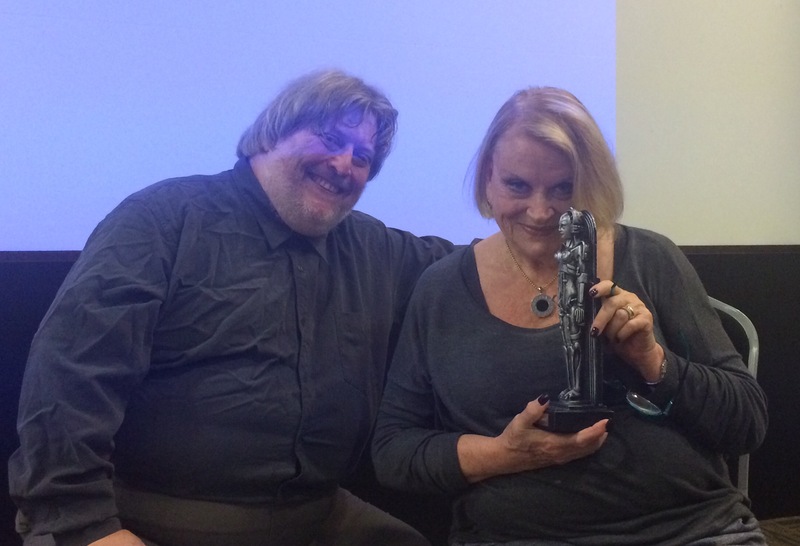 As previously mentioned, the extras include The Forbidden Lady, featuring footage from my 2016 conversation with the movie’s star, Dagmar Lassander. For the past few months, I’ve had to keep it zipped about a project Chrissie Harper and I had in the can but couldn’t discuss until the distributor which commissioned it made a public announcement. 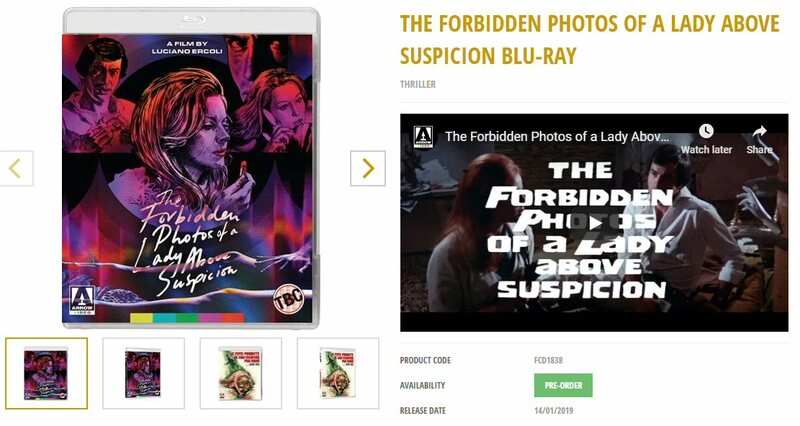 At 3pm on Friday afternoon, Arrow Video officially confirmed it will be releasing The Forbidden Photos of a Lady Above Suspicion on Blu-ray in January, with our documentary The Forbidden Lady among the extras. Full details here. 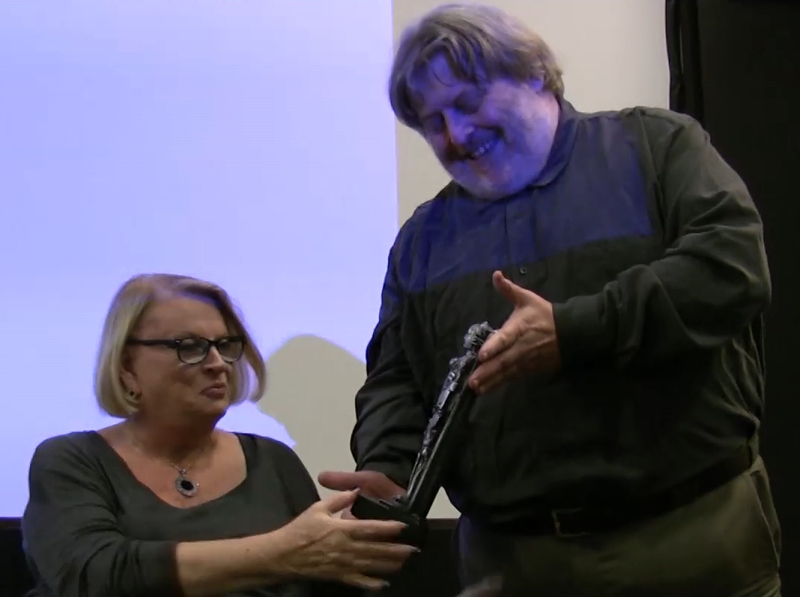 One bonus of interviewing Dagmar Lassander was presenting her with one of the Society of Fantastic Films’ special awards for services to the genre. The statuette is loosely modelled upon the Maria robot from Fritz Lang’s Metropolis. 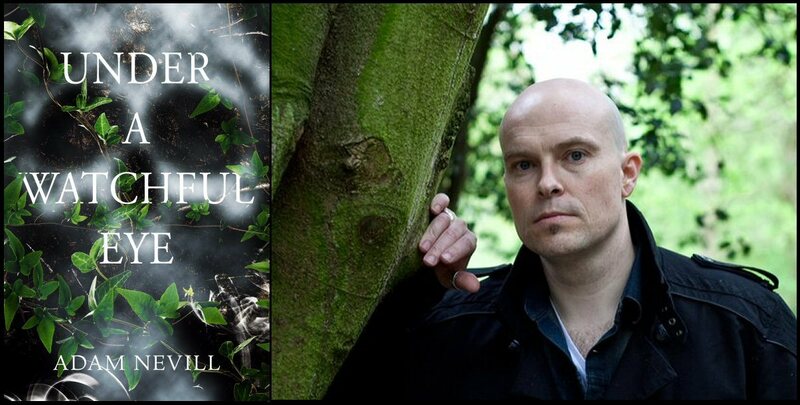 Further to my attending last month’s Festival of Fantastic Films in Manchester to conduct Dagmar Lassander’s guest interview, I’ve now been approached by Pan Macmillan to interview Adam Nevill at a Waterstones promotion for his forthcoming novel, Under a Watchful Eye. If all goes according to plan, the event will be held in the centre of Birmingham, Adam’s former home city. Update 21/11: Unfortunately, it appears Adam’s schedule is rather over-loaded, so the event has been cancelled. 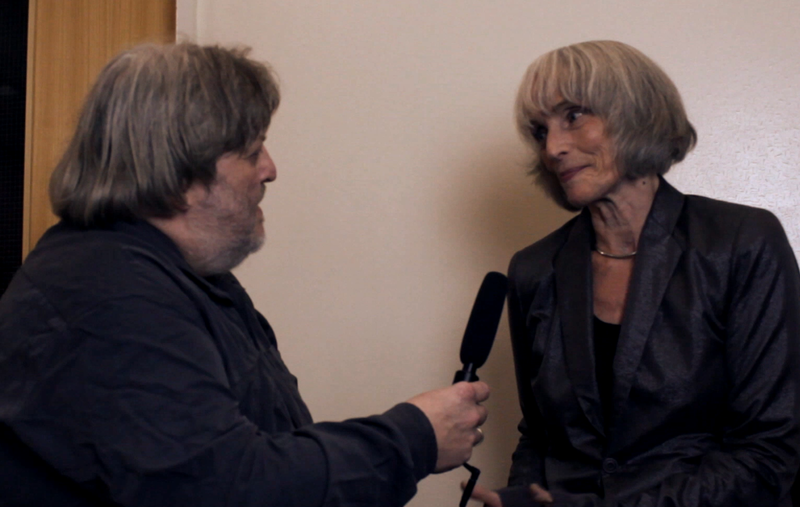 As well as interviewing Dagmar Lassander on stage for the 27th Festival of Fantastic Films, my somewhat hectic Saturday schedule included a short chat with Edith Scob, whose haunting performance was central to 1960’s Les Yeux Sans Visage (known here as Eyes Without a Face). It’s currently at the editing stage, but should be available soon at my and Chrissie’s YouTube channel. Update: The interview was screened on the cable channel Made In Birmingham TV (formerly Big Centre TV) on 12 November.